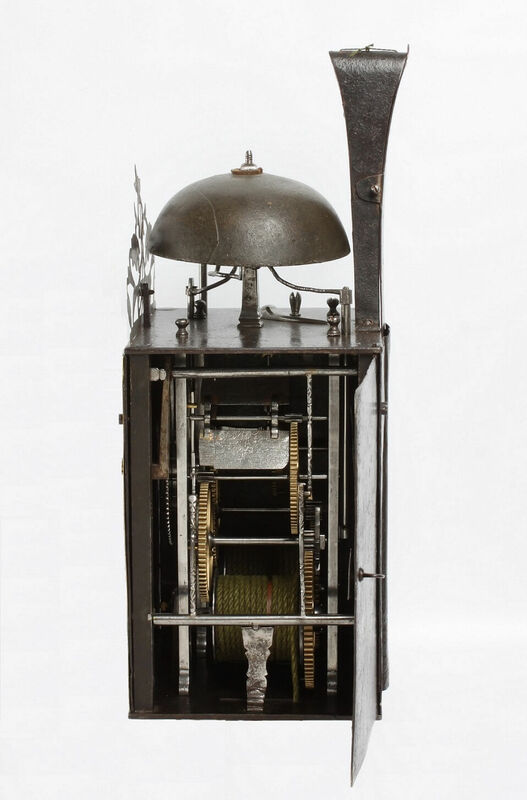 8-day movement with half hour striking and alarm, iron and brass case. 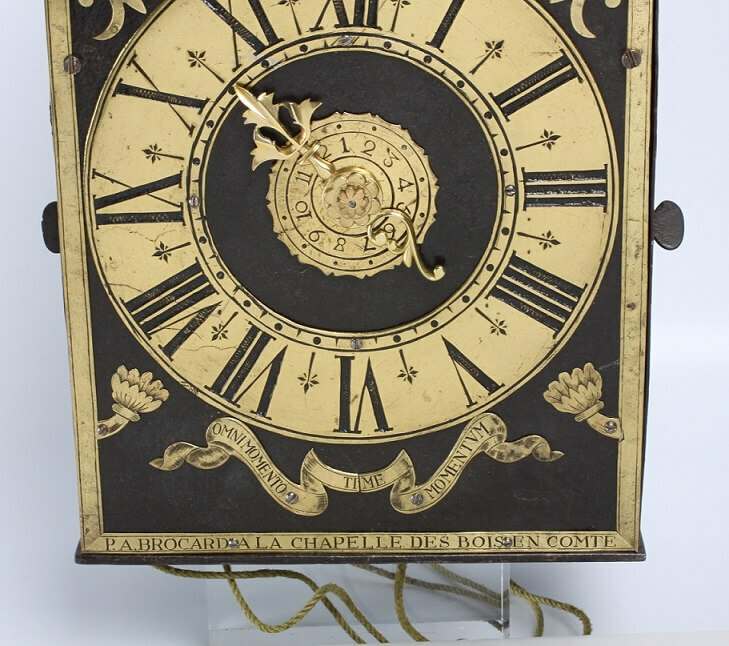 In the Morbier area in the North Eastern part of France a few clockmaking families devised a type of clock that would concur France in the end. 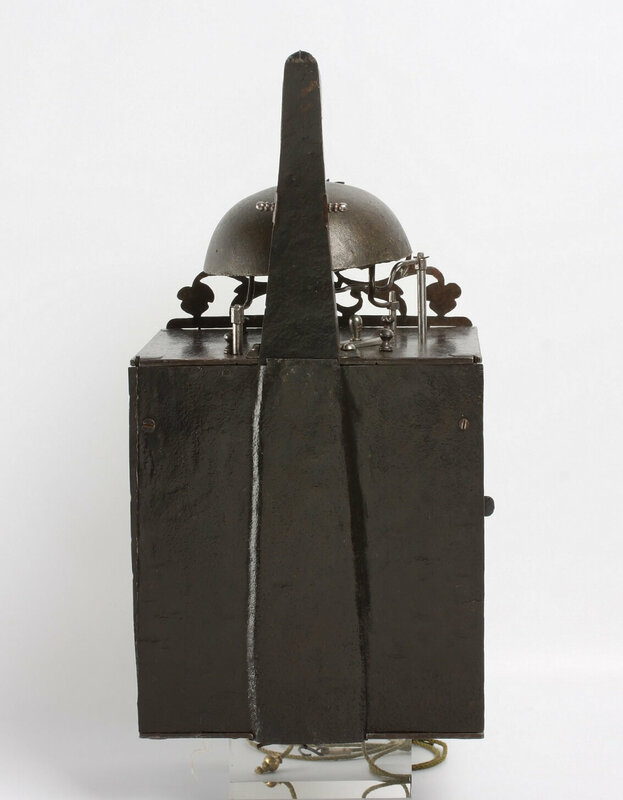 The black smith tradition of these families is evident in the construction and execution of the movements. 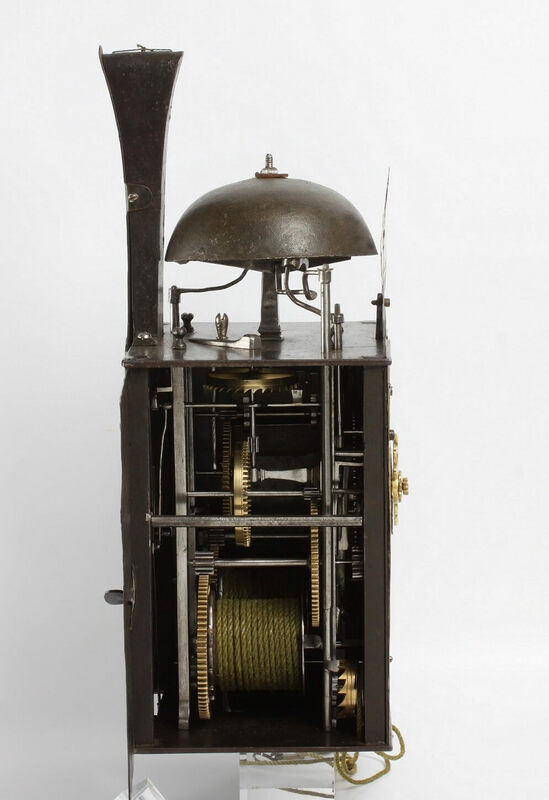 It proved to be a very reliable and easy to operate clock that could be shipped all over France even in the first half of the 18th Century. 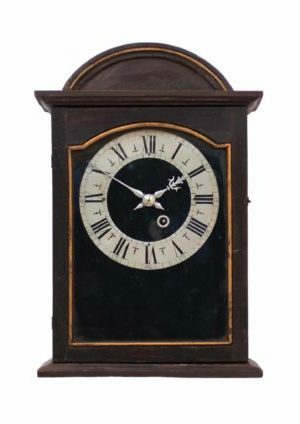 This because the pendulum can be folded and weights and cases could be made at the location where the clock would be sent. 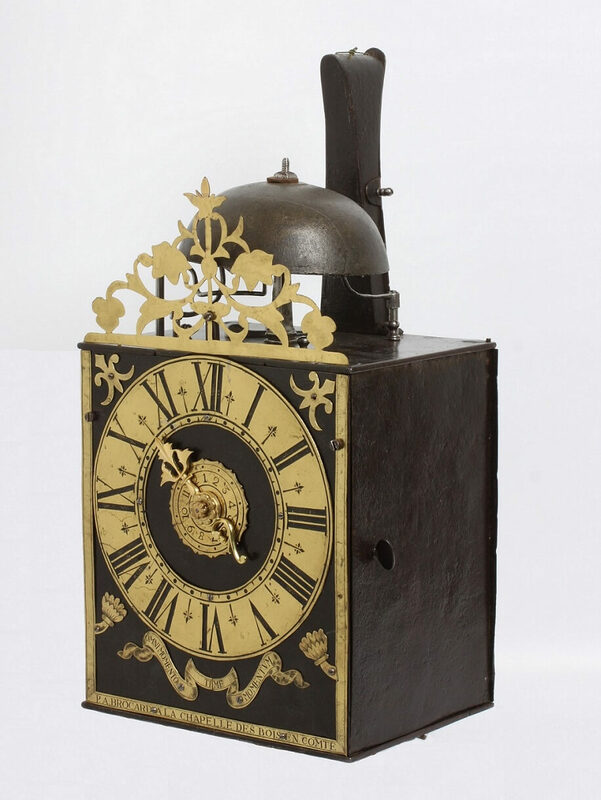 Later the type would become known as Comtoise clocks. 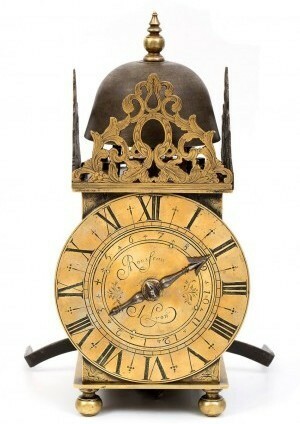 But the early pieces that are still very individual, smaller and archaic are rare and collectible. 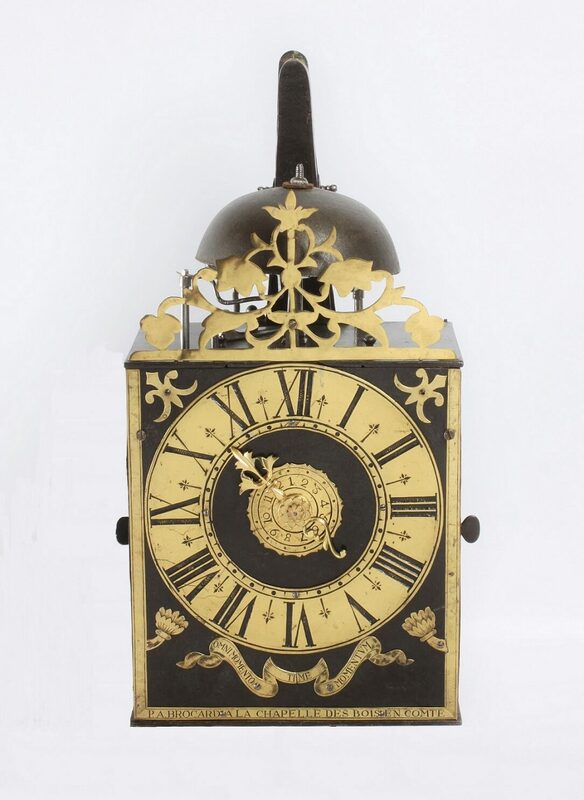 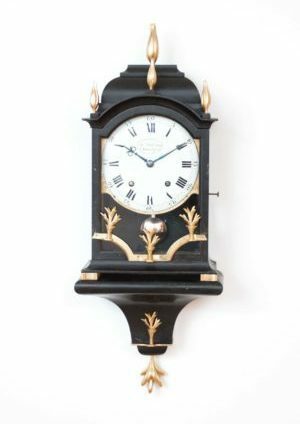 This fine example by Brocard has all the qualities that a collector would look for; good signature and motto, original chapter ring and fret, well made movement with beautiful details and finally an original iron case with high pendulum ‘chimney’. 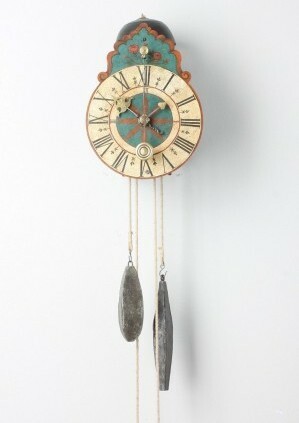 For anyone else a beautiful clock that fits into any interior which runs and strikes well.